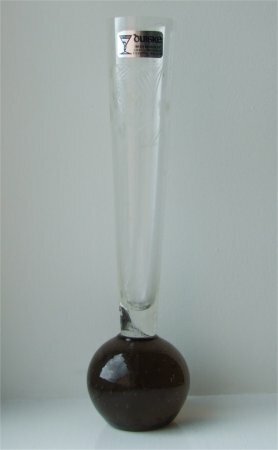 This brown based vase is approximately 203mm (8") tall. 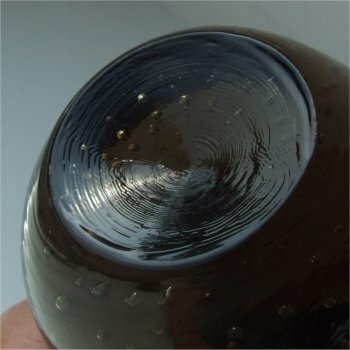 It has small bubbles which run horizontally around the base. 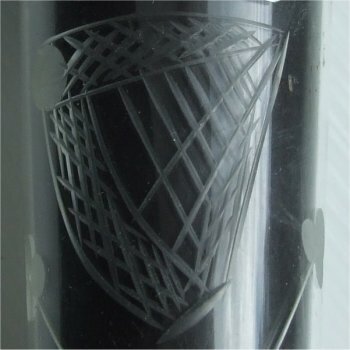 The bottom of the base is concave with a ridged finish. 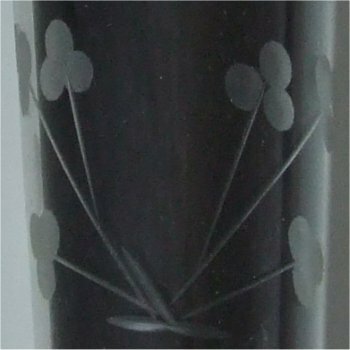 The stem is clear and has a wide flare of approximately 35mm (1 & 3/8ths an inch) across the top and is cut with an Irish harp and shamrock. The label is an oblong (landscape) shape with rounded off edges. 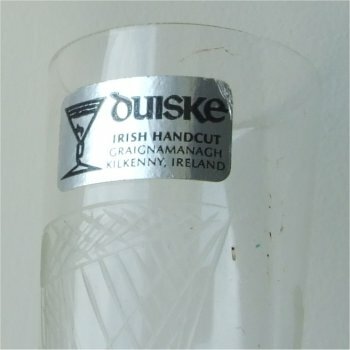 It is a metalic silver colour with black writing and states "Duiske Irish Handcut Graignamanagh Kilkenny, Ireland." (see images below). Duiske Glass factory and shop, was estastablished in Graignamanagh (Graiguenamanagh), Kilkenny, Ireland in 1974 but the factory closed in 2008. The factory and shop run by Harry and Maureen O’Shea was near to Duiske Abbey.